Kaido Ojamaa has designed new .44 and .36-caliber bullets for percussion revolvers that penetrate better than conventional designs and also may be used for loading the .45 LC revolver cartridge and as saboted projectiles in muzzleloading rifles. He went to Florida to join his friend Rudy Betancourt and Rudy’s brother-in-law, Amando Martinez, and Rudy’s cousin Ray Fernandez on a hog hunt at Hog Heaven Preserve in North Ft. Myers. I was also invited, but declined because I have hog hunting opportunities within miles of where I live in Central Georgia and had just returned from a week-long trip to Texas. The pistol that Kaido used was an 1858 Remington .44-caliber blued steel revolver with an 8-inch barrel made by Uberti in Italy. He used his 240 gr. bullet and 30 grains of Hodgdon’s TripleSeven FFFg powder. Rudy usually hunts with a long-barreled all steel Cabela’s Buffalo revolver made by Pietta, or a Ruger Old Army. Both these revolvers are heavier guns and have adjustable sights, but on this hunt he chose to use a Colt pattern 1860 .44 Army revolver with its notched-hammer rear and non-adjustable front sight. Prior to the hunt he had worked up a pure lead round-ball load for himself and for Amando’s pistol a load using hard-alloy cast balls. This hunt was to compare the performance of the two projectiles. Ray used another of Rudy’s revolvers which was a 1851 Colt .44 loaded with the hollow-based 180 grain Buffalo revolver bullet, because he did not have time to return home and get his own gun. Each of the four hunters was shooting a different bullet through three different replica percussion revolvers. 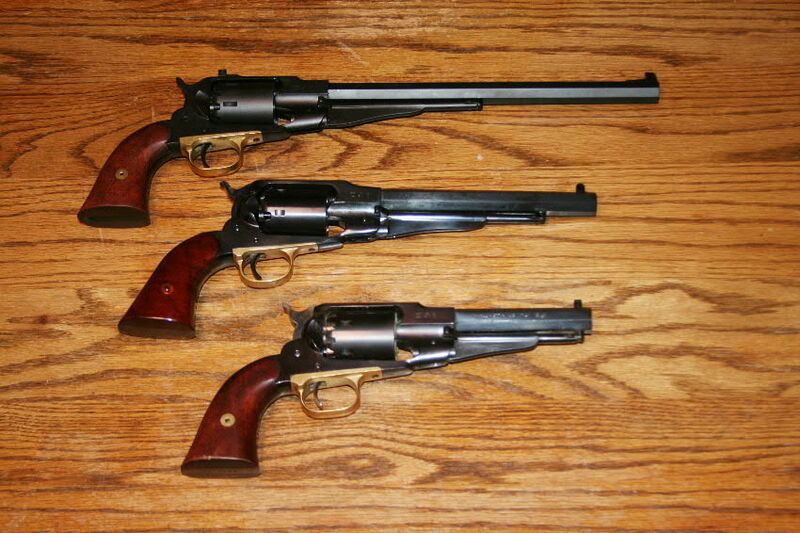 To list, these were two Colt 1860s, one Colt 1851 and one Remington 1858. Rudy elected to use round balls in the 1860 pistols because these guns could be shot without grinding away a portion of the loading port on the barrel assembly to allow him to chamber one of Kaido’s bullets. Whereas only a small amount of metal needs to be removed to modify the frames of the 1858 Remington-pattern guns, more has to come off to load Kaido’s 240 and 255-grain bullets in the Colt 1858 and 1860 revolvers. Rudy had always been successful on these hunts at the Preserve, and he wanted to try out his and Amando’s 1860s. Because Kaido had driven down from New York the night before and Rudy had also been up the previous night, their 5:00 AM hunt started with them both feeling fatigued. On hunts that I do, I prefer to arrive the day before and have a night’s rest before hunting, or at least grab a few hours’ sleep. Fatigue makes morons of us all. Wild hog hunting can be dangerous when done with close-range hunting tools and unfortunate incidents can happen to the unwary. At 72, I am certainly not a Superman any more, if ever I was. Patience, care and time will result in dead hogs in the freezer. Thrashing around in thick cover while you are “dead-dog” tired can get you or someone else hurt. Many hunting preserves that have wild hogs set out feeders to attract animals to their stands. Three of the group hunted from a tower stand while Armando hunted by himself on another part of the property. After spending time in a tower stand without success, the group elected to hunt on foot. Recent rains throughout Florida and Georgia have resulted in the growth of very thick vegetation. Hogs could be heard nearby, but the hunters only had fleeting glimpses of them through the understory. During the hunt the four hunters fired about 10 shots. One boar hog apparently decided that he had been pushed long enough and came at the group. Both Kaido and Rudy fired two shots each at the hog. Rudy shot twice and then his pistol jammed. The animal apparently turned nearly broadside and Kaido placed the killing bullet through the boar that impacted through the lower spine immediately forward of the rear legs. This bullet cut an artery and caused massive internal bleeding. The hog quickly collapsed and was recovered about 20-yards away. Rudy said that he had no doubt that he would have done better had he used either his Buffalo or Old Army revolvers. I have a video posted about this hunt on YouTube that may be seen at: http://youtu.be/BtCSaVSTlmQ. During the afternoon, Ray shot at the largest of a herd of hogs running through the brush. He hit what appeared to be about a 350 pound hog, knocked it down, but the hog recovered and ran off. Armando returned and the four attempted to find the hog, but could not. On big hogs, soft bullets fired from revolvers are notorious for expanding on the gristle plate and stopping on or in the shoulder bone and not penetrating the vitals of the animal. This may have happened with Ray’s hog, but because the animal was not recovered this cannot be demonstrated. However, this is the reason that hardened cast bullets, like Ojamaa’s, are preferred for taking hogs and larger animals. Shots taken with Amando’s revolver shooting the hard-cast round balls either failed to hit or penetrated without leaving any indications of damage. Rudy thought that they might be passing straight through, but as none of these hogs was recovered this is uncertain. When hunting in similar thick cover in Georgia and Florida, I have killed about as many animals shooting from the ground as from tree stands. Sometimes I have seen and stalked groups of hogs. On other occasions I have been watching a travel path and had the hogs come to me. I almost always hunt alone. We humans are a social lot and almost cannot keep silent for more than about 15 minutes. Even when walking, one person can move quieter than two or three. I have had hogs in palmettos and tall grass get up in front of me at distances of a few feet, and never had a shot because of the extremely thick cover. Where the grass, cane and briers is shoulder high, hogs push tunnels through the vegetation that a man can only get though on his hands and knees. Should you encounter a 300-lb. hog “lips to lips” in one of these, guess who is likely to win? I personally do not care much for the Colt-pattern revolvers as percussion hunting guns because of their weak construction and poor notched hammer and fixed front sights. These are difficult to use under ideal conditions and more troublesome under hunting conditions where you have got to shoot in a hurry. The Remington pattern 1858 allow greater amounts of sight adjustment and variants are available with adjustable sights from Cabela’s, Dixie Gun Works and other retailers. The best percussion revolvers for hog hunting are the Remington 1858s such as Kaido used. Rudy has had considerable success with Cabela’s all steel Buffalo Revolver (made by Pietta) and the now discontinued Ruger Old Army. With their factory adjustable sights and shooting Kaido’s bullets the longer barreled 1858s and Old Army will give more consistent success than any other factory-produced percussion revolver. The photo of the Remington 1858s shown at the head of the article is of my Cabela’s all-stainless steel Buffalo revolver which was made by Pietta and now has a matt black Nitride Coating by H&M Metal Processing of Akron, Ohio. The original finish was polished mirror bright, and I much prefer less-reflective guns for hunting. The second gun is the Uberti that Kaido used on this hunt. The third with the short barrel is a Pietta, sold as the Sheriff’s Model with a 5 1/2-inch barrel, which I sometimes carry as a back-up gun. Although I did finish off a 90 lb. wounded deer with it by hitting the running animal with three out of five shots at between 40-50 yards, I do not recommend it as a primary hunting gun. I have a YouTube video of this hunt at: http://youtu.be/6Op6A_M7dQE. Will the Colt guns, like the Walker, sometimes work? Yes they will. The heavier charges shot by the Walker and Dragoons will take hogs and other animals, provided that the bullets are put in the right place. This usually means that the animals are close, shot from stands from stable positions, the Walker’s ramrod is secured to the barrel with a wrap of electrical tape, there is good-enough light to work those miserable sights, the trigger pull has been sufficiently smoothed to be reasonable and the shooter remembers to hold-off correctly to compensate for elevation and windage errors. If you have a charging hog and have to shoot in a rush, all bets are off. Even with guns having good square notch adjustable sights, my ratio of hits on moving game animals is about 50%. I do not like to take such shots and do not recommend them except to shoot at wounded or charging animals. The higher percentage hits will be made with guns having the most barrel weight, the best sights and, often not much appreciated, the best triggers. Good all-steel percussion revolvers equipped with adjustable sights, long barrels, shooting good bullets and TripleSeven powder will work to take smallish hogs and deer, such as the 125 pound boar that Kaido shot. If you are interested in contacting Kaido about his bullets or to order two-cavity molds or modern-designed shoulder holsters for percussion and other long-barreled revolvers you can E-mail him at kaido93@hotmail.com. This group’s hunt where 10 shots for fired at hogs, two were known to be hit and only one recovered does not speak well of the Colt-pattern guns as efficient hunting revolvers. On my last revolver hunt with my long-barreled stainless Pietta revolver with adjustable sights and shooting from a tree stand and from the ground, I shot four times, killed and recovered three hogs and lost none wounded. As a general rule, better guns shot from stable, braced positions at standing or slow-moving animals will yield the best results. Huge hogs running between 300-600 pounds require serious killing. For these, I prefer .50-caliber single-shot guns shooting the equivalent of 100 grains of powder and the 370-grain Thompson/Center Arms MaxiBall. Will percussion revolvers work on big hogs with very careful shot placement and using good hard-cast bullets? Yes, but these are best attempted from shooting stands. 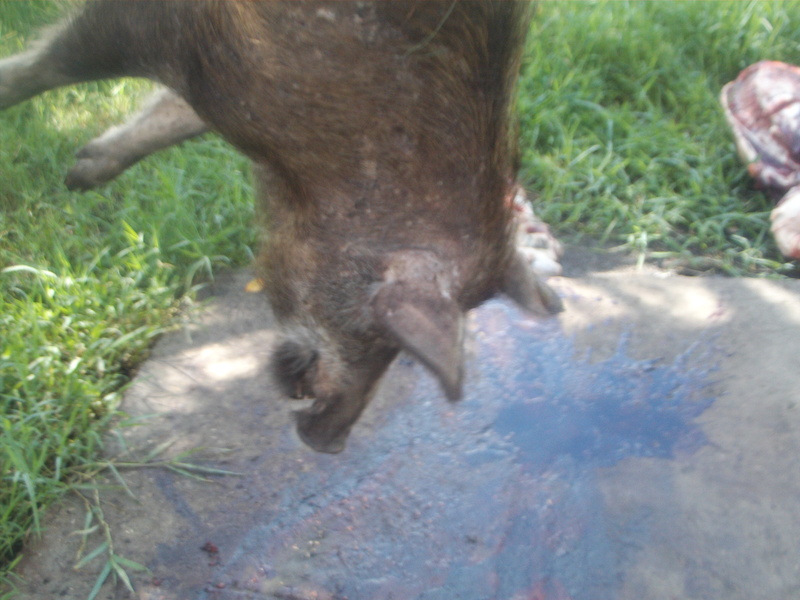 On big boar hogs for example, the spine is low in the neck and covered by a foot or more of tough muscle. Even when shooting straight down this is a lot of penetration for a revolver’s bullet – PLUS the bullet must still retain sufficient energy to sever the spine. The powder-bullet combination that I shoot from 15-inch barrel single shots will penetrate 27-inches of tough wildebeest, warthog or hog – been there, done that. I have more to say about muzzleloading pistol hunting in my forthcoming E-books Hunting with Muzzleloading Revolvers: Taking big and small game with a variety of muzzleloading pistols. which will be available in August, 2013, and Hunting with Muzzleloading Revolvers: Taking big and small game with a variety of muzzleloading revolvers. that will be ready in October, 2013. These E-books, like most of the others in my 8-book Muzzleloading Short Shots series will be available in all E-book formats and priced at $4.99. If you do not have an E-reader, you can install a program on your computer that will allow you to read these books. Thanks to Kaido and Rudy for helping me to render a more nearly correct account of a hunt that I did not attend. Hovey, great write up. This fall/winter we plan to have Kaido come down (of course you are also invited to join us) and go after a real big trophy hog. Kaido will attempt to take a 350+ boar with his bullet. That should be a good test as those big boars are really tough and the gristle plates are thick and strong. 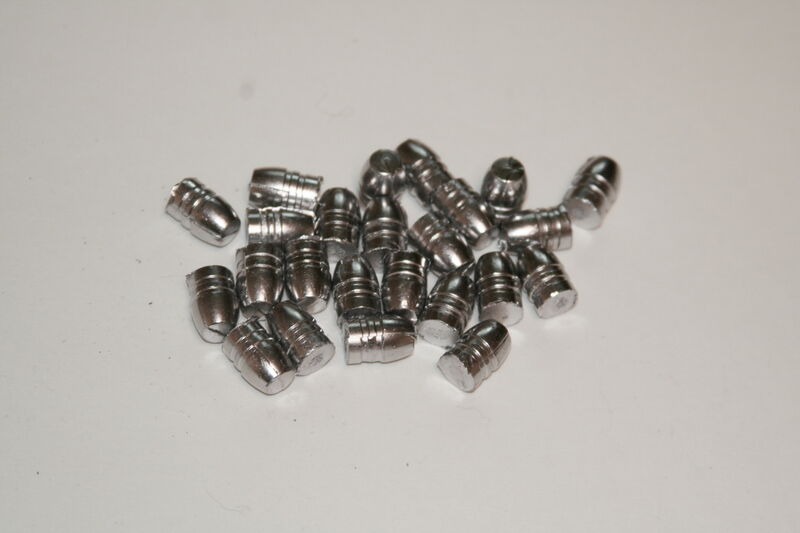 Armando will be casting some Kaido bullets but out of a softer lead mix for his 1860. Rey and myself may either go percussion or work as back up gunners with heavy 44 magnum, 10mm, 38 super and 45 colt ammo. If little Rudy (Rey’s brother) goes he will supply backup with a rifle. This should be a good test for the Kaido Universal Bullet. We appreciate your work and are waiting for your percussion revolver books to be made available so we can buy a copy. Thank you.